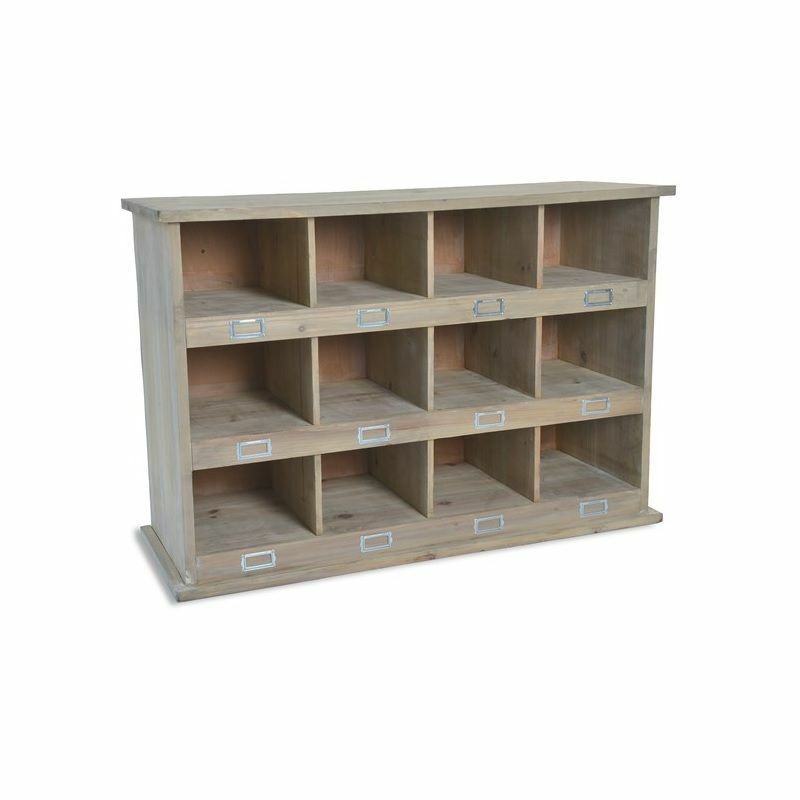 Perfect for tidying away all those muddy boots and shoes in the bootroom or hallway, the Garden Trading Large Chedworth Shoe Locker offers plenty of storage with its twelve compartments. 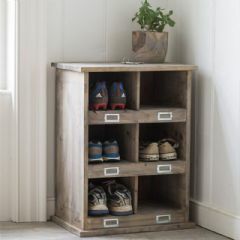 Inspired by traditional school lockers and crafted in high-quality spruce, the Large Chedworth Shoe Locker offers all the space you could ever need for storing away the family's footwear. 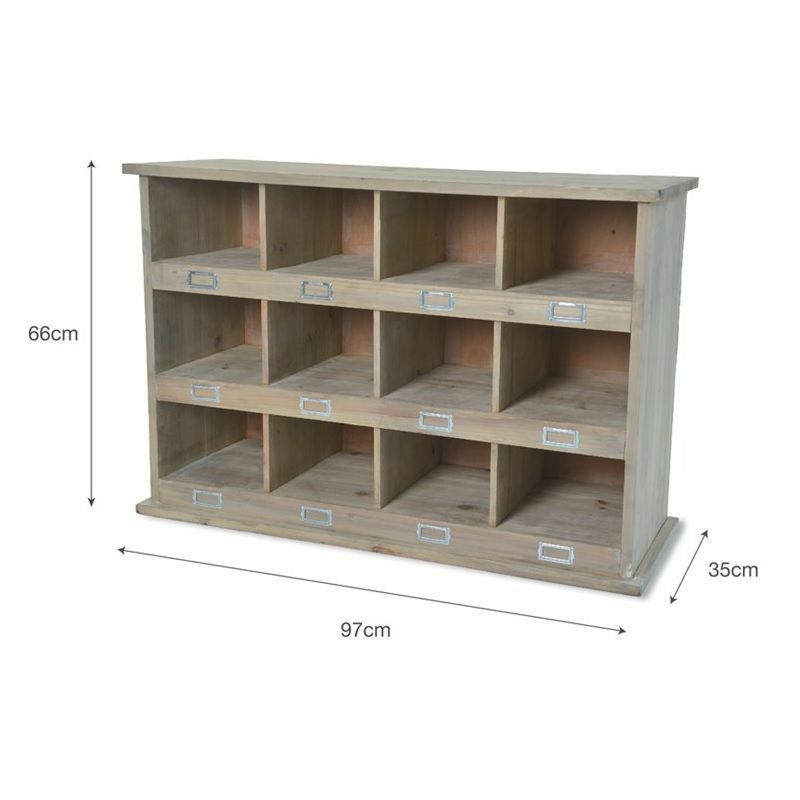 Each individual cubby hole even has a little space for a label, should you wish to make sure those stray trainers and football boots are reunited with their rightful owner! 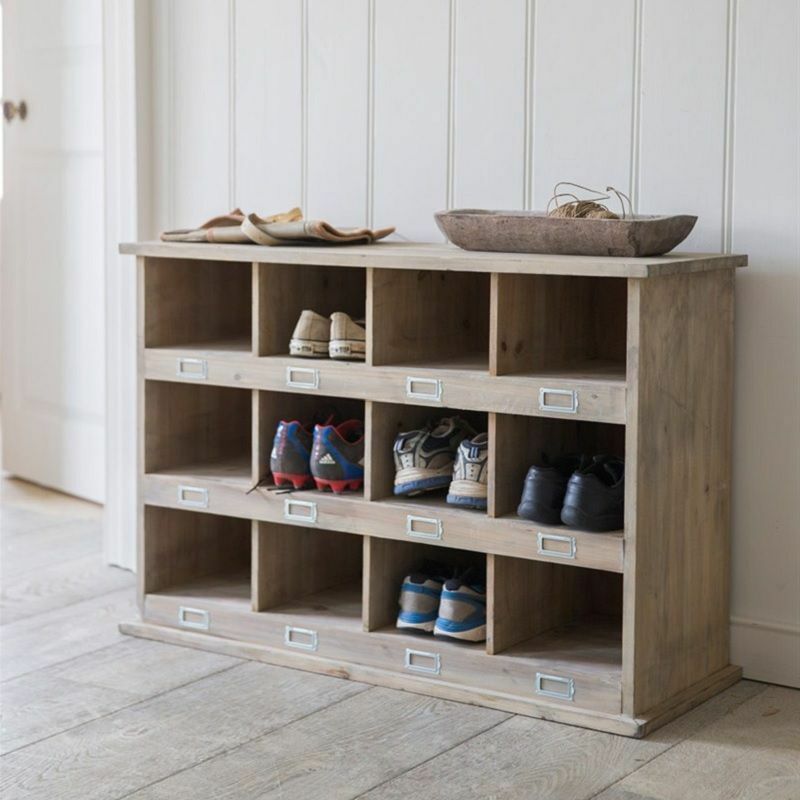 Practically perfect in every way, the Large Chedworth Shoe Locker is an ideal storage solution for the hallway, boot or utility room - you'll wonder how you ever managed without it. Good product. Well made. However received damaged on a corner due to poor quality packaging. I really like this piece of furniture and it looks lovely in our newly decorated room. Much better than a pile of shoes! The wood looks unfinished so we'll apply some oil to prevent staining from spilt drinks etc... Delivery was quick and trouble free. Very happy with this item. When we unpacked the product we found that it had been damaged in transit. The unit had been dropped or struck by something on the bottom left hand corner and the bottom trim was hanging off. Nevertheless I managed to repair it with glue and some panel pins. It was a surprise present for my son and he is delighted with it. It's a lovely unit but let down by slight damage to the edge of the top surface (split in the wood which might well break off).